We are nearing the beginning of our 10th year serving together! Amazing, huh? When we began back in 2010 we had no idea what to expect. I am so thankful for the countless volunteers who have participated in this great work of offering comfort to survivors of sexual assault in Oklahoma County! Some people have been able to volunteer a time or two while others have been contributing for months or years. 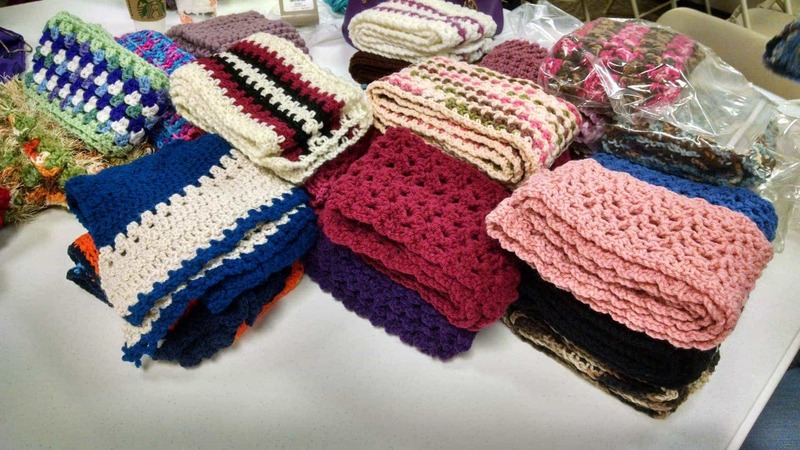 Some have given scarves and others have given yarn or funds to help with packaging costs. Some have worked on the website and others have worked on packing the scarves. Some have joined us at Work Days and others have donated at the State Fair or simply dropped off scarves. With so many of us working on this project together in so many different ways, we wanted to share a few reminders, some “housekeeping” kind of things that can help us continue to work together to offer great comfort. Please take a moment to look over the suggestions below and let us know if you have any questions. Please use acrylic yarn. This helps avoid allergies and allows the scarves to be washed without much special care. When changing colors please use a method that allows you to weave in about an inch of yarn, rather than tying a knot in the yarn and clipping the ends close. Ones that have been tied have come untied, both in the laundry, and with use over time. At the beginning and end of your scarf please weave in the ends. There are lots of great tutorials online about how to do this, but if you’re looking for a simple diagram, The Crochet Guild of America has a great diagram of this on their site. Again, “thank you” to those that have participated with us in the past. And, “welcome” to those who are thinking about joining us. We’d be grateful for your partnership, in whatever way you can participate. 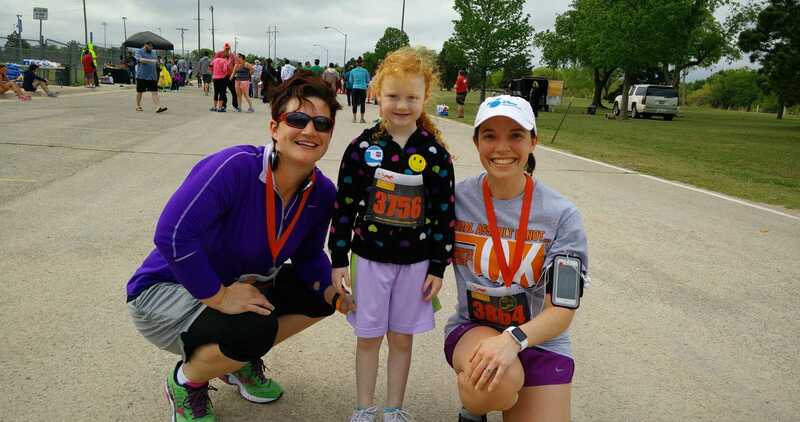 We are so grateful for everyone that participated with us at the Oklahoma State Fair this year. 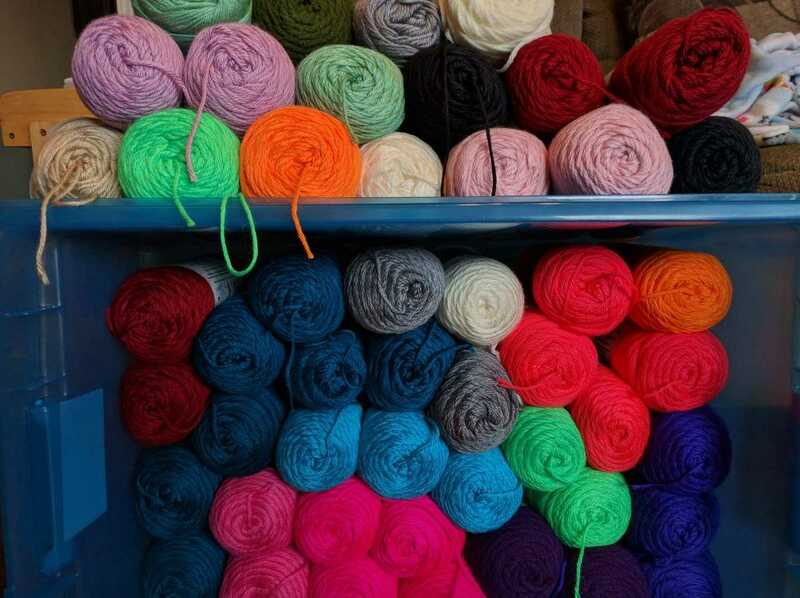 We received a beautiful variety of knitted and crocheted scarves. If you weren’t able to see the display at the fair, check out the photos below to get an idea of how it looked. Thanks again! We’re already planning for next year. Join us if you can! 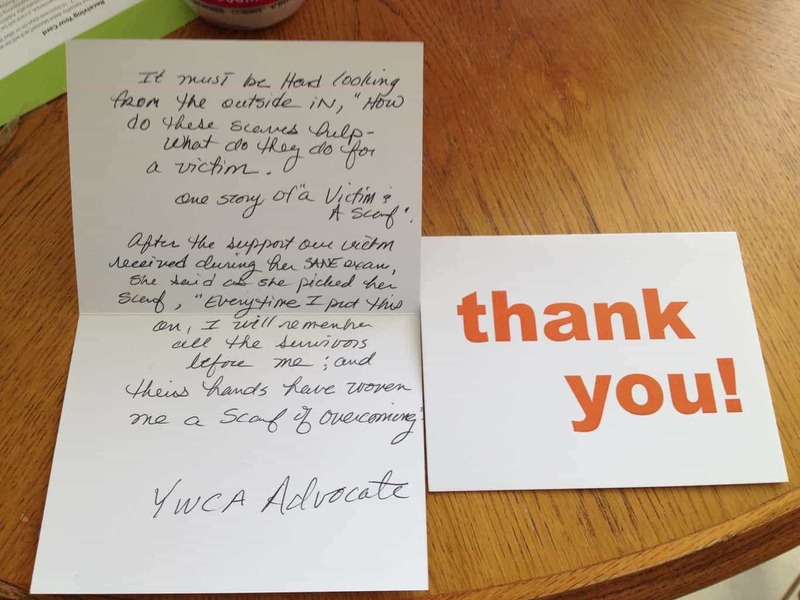 Here’s a thank you card we received from one of the advocates who supports victims during exams following assaults.